JUST LISTED at the Spring condos. Just listed at the Spring condos. 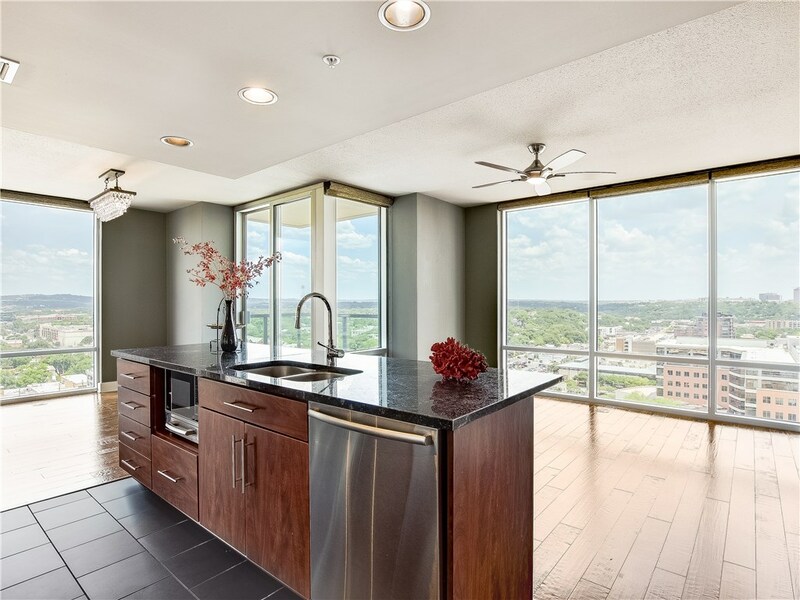 Dramatic Floor to Ceiling Windows with Downtown, Lady Bird Lake & Hill Country Views! Rare NW Corner Unit! 5″ Hand Scraped Hardwood Floors*Rich Dark Granite Counters w/a new High End Jenn-Air Refrigerator & Kitchen Aid Duel Fuel Oven w/ Gas Cook top*New Kitchen Cabinets ,Washer/Dryer w/a steam function*Full size Murphy Bed so 2nd Bedroom can serve as an Office*2 Reserved Parking Spaces*Walk to Lake, Restaurants or shopping! Gorgeous 75 Ft Lap Pool. Fabulous Sunsets off your Balcony!